It's no secret any more; people from all over the world love to visit the Philippines. Tourism is booming, and the Philippines expects 10 million foreign visitors to visit the various islands by 2016. So, they are preparing their airports to accommodate travelers. A total of 12 airports are scheduled for upgrading by the Philippine government, beginning with the international airport located in Manila. Plans include a new terminal for the Ninoy Aquino International Airport (NAIA) in Manila, according to Rene Limcaoco, Transportation Undersecretary. 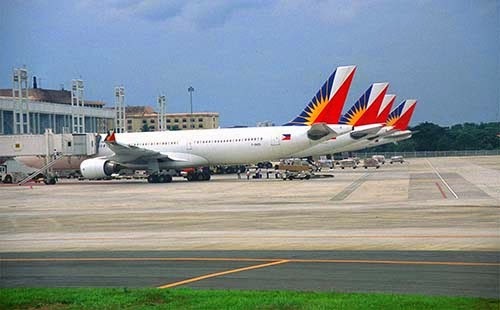 Other upgrades include the Puerto Princesa Airport on Palawan island, southwest of Manila, and Clark International Airport in Pampanga, located north of the capital. Providing more modern and convenient airlines will help stimulate the economy in the Philippines, which depends heavily on tourism. In 2013, the Philippines had the second fastest-growing economy in Asia, next to China, with a growth of 7.2 percent. In order to keep the pace, they need to make travel convenient and comfortable for foreign tourists. Upgrading 12 airports will result in less congestion and encourage more tourists to visit the Philippines. The Ninoy Aquino International Airport (NAIA) in Manila is the primary airport supporting travel to the Philippines, so plans are under way to complete Terminal 3 in July of 2014, with Terminal 1 scheduled for completion in early 2015. The Mactan-Cebu International Airport Terminal is on target to be ready for business by the end of March, 2014.